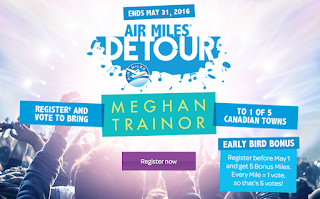 The AIR MILES Reward Program kicked off AIR MILES DETOUR, a new music program that will reward one lucky Canadian community with an incredible once-in-a-lifetime live music performance, featuring Grammy Award-winning singer-songwriter, Meghan Trainor. Five small Canadian communities including Nelson, BC., Mulmur, ON., Port Hawkesbury, NS., Morin Heights, QC and Moose Jaw, SK., will be competing to host Meghan Trainor for an unforgettable concert this summer! 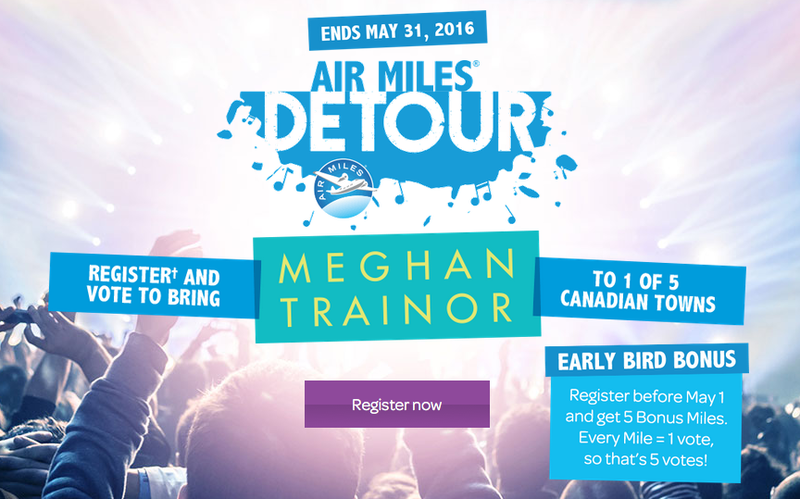 The winning community will be selected by AIR MILES Collectors across the country. Starting today, Collectors can go online to register for their preferred community. Beginning May 1, every AIR MILES Reward Mile collected at participating Partners will count as one vote towards their chosen community. You can register for the program here and help the community of your choice win this concert! On another fun program note, WestJet launched the WestJet Fanwagon today! The WestJet Fanwagon is based in Toronto and on night when the Blue Jays are at home playing will travel to different locations in TO and will host up to 10 lucky Blue Jays fans. From there they may be lucky enough to be invited to WestJet's Flight Deck at the Rogers Centre to enjoy the game. Find out more here!